Münster is an independent city in North Rhine-Westphalia, Germany. The city is the "creative desk of Westphalia". Greater Münster is home to many industries such as those of public authorities, consulting companies, insurance companies, banks, computer centres, publishing houses, advertising and design. Münster is host to many institutions of higher education which includes the University of Münster and University of Applied Sciences. The city also has 92 Schools of primary and secondary education. The city has 47,000 students. 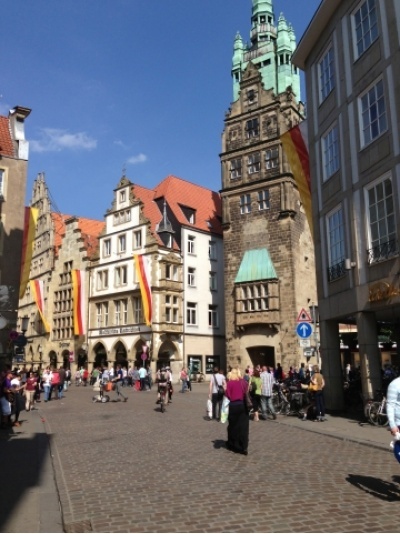 Münster has 8 theatres, 30 museums, 80 hotels and 13 hospitals. The most known is the University Clinic Münster.